Start making the delicious lefse like an expert with the Bethany Housewares Lefse Starter Kit. 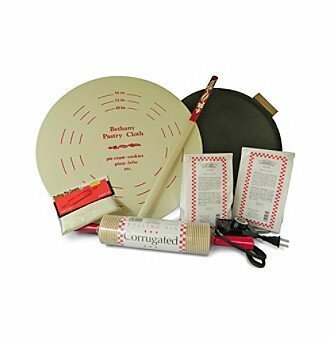 This set includes a premium non-stick surface grill, a lefse turning stick, a corrugated rolling pin, two rolling pin covers and a pastry board and cloth sets. It also includes two lefse mixes to help you get started. And 2 lefse mixes to help you get started! If you have any questions about this product by Bethany Housewares, contact us by completing and submitting the form below. If you are looking for a specif part number, please include it with your message.